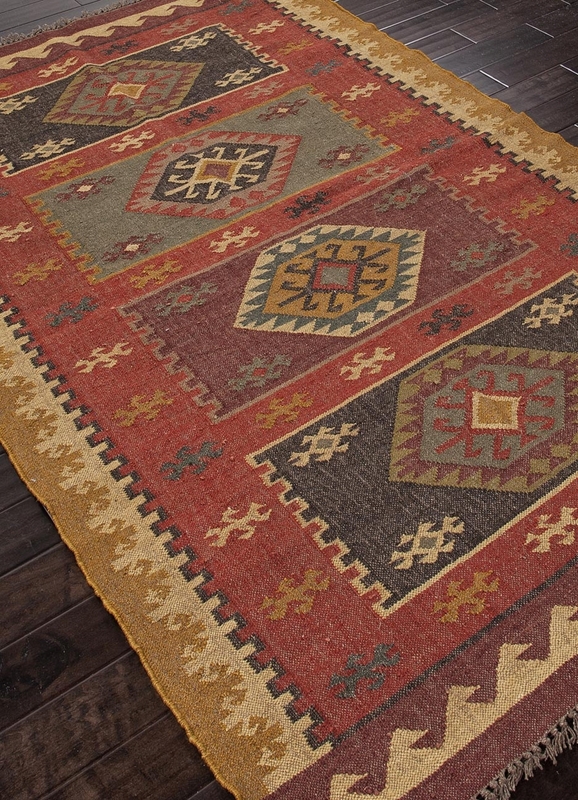 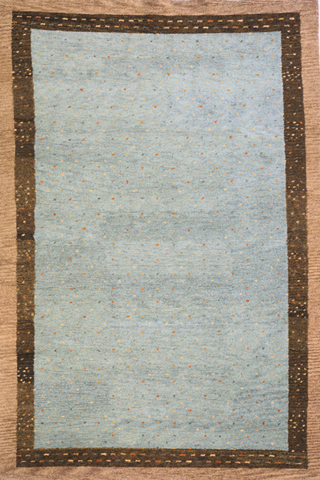 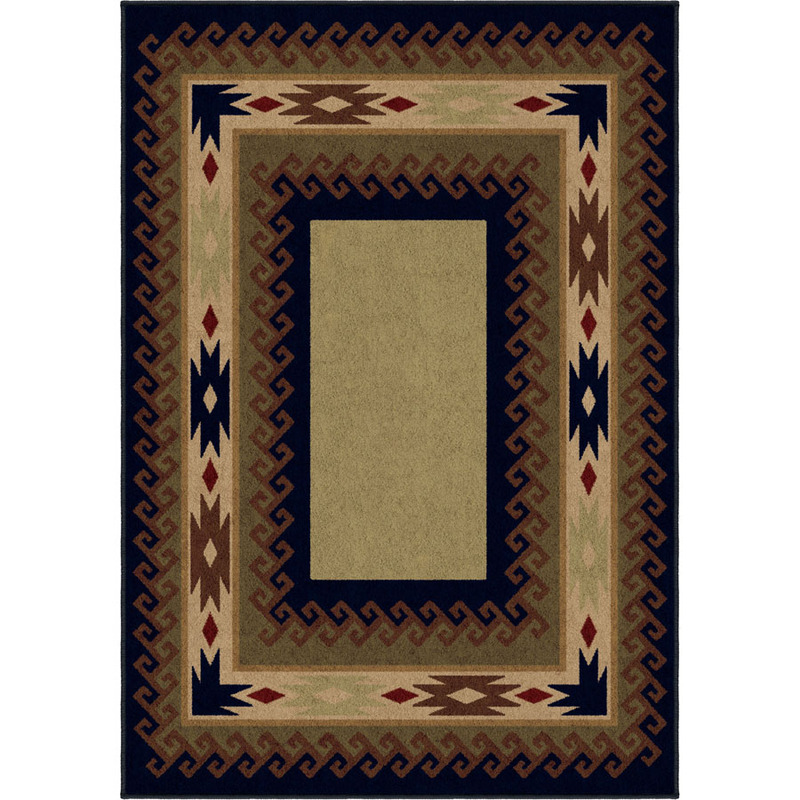 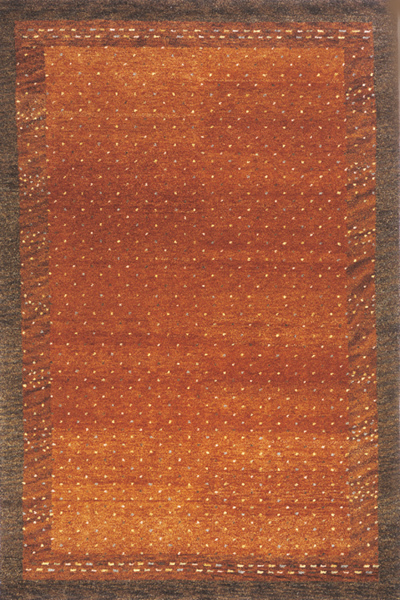 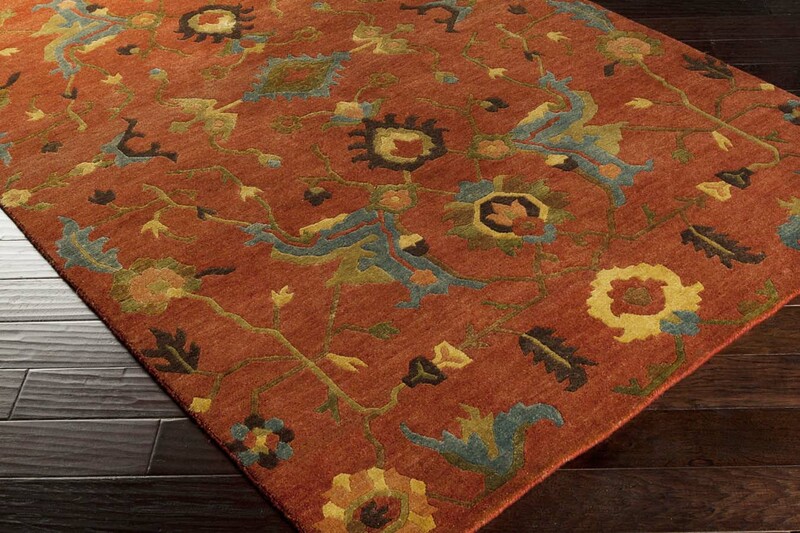 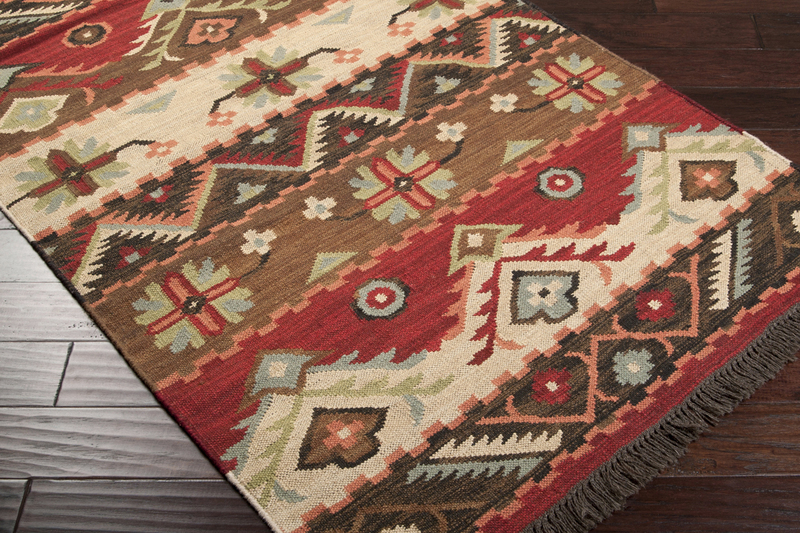 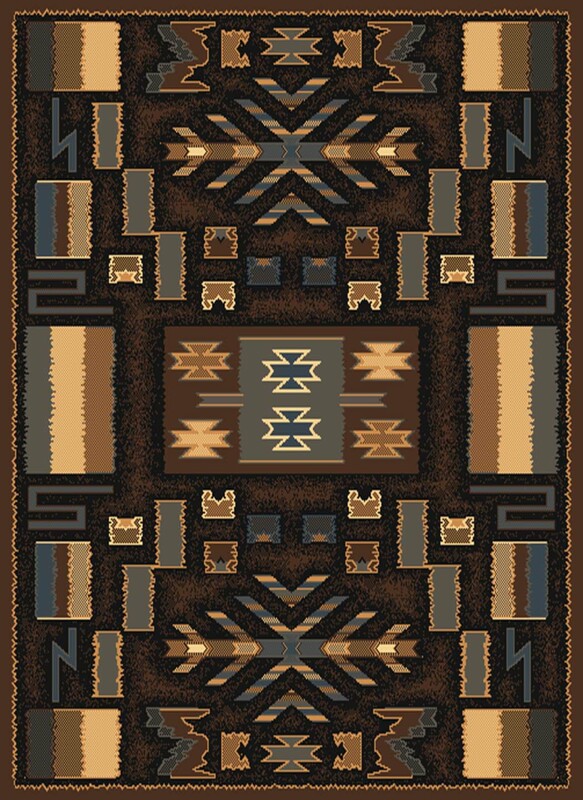 Enjoy the unique patterns and vivid colors of our Southwestern style area rugs. 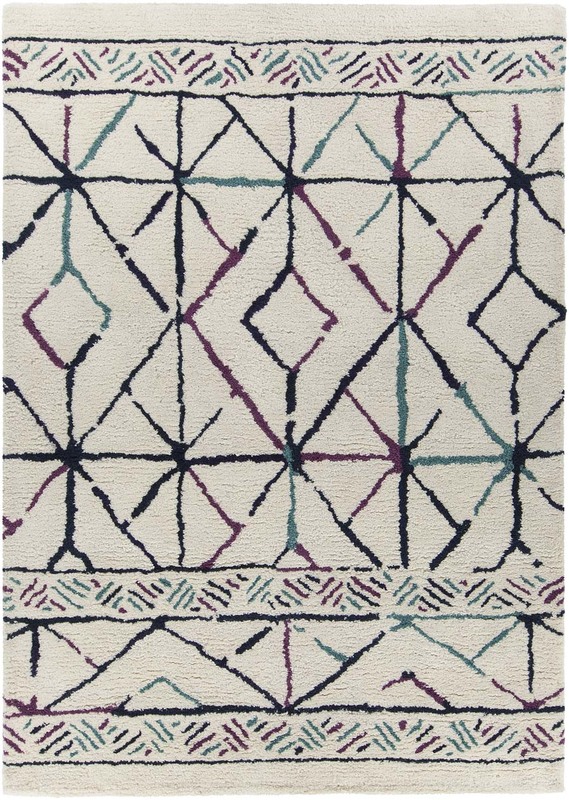 Instill personality and new life into a tired décor scheme with stunning nomadic motifs and traditional patterns of cultures from around the world. 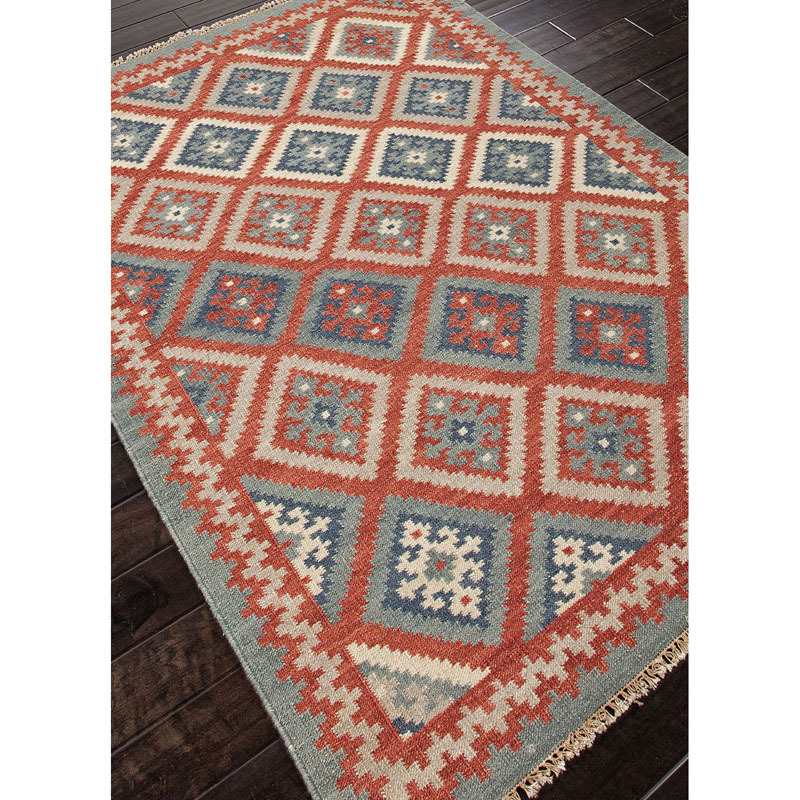 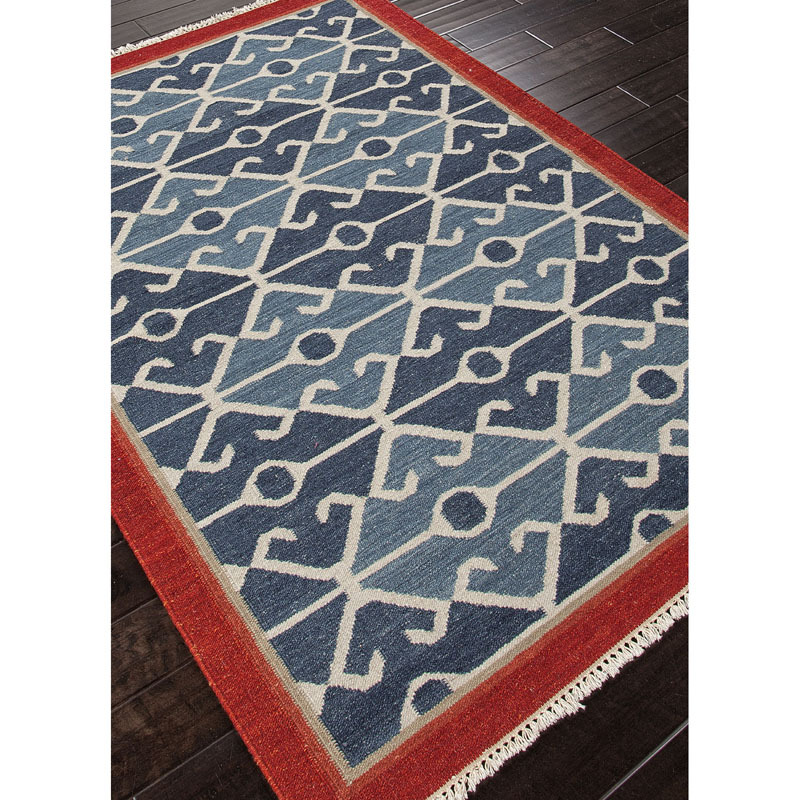 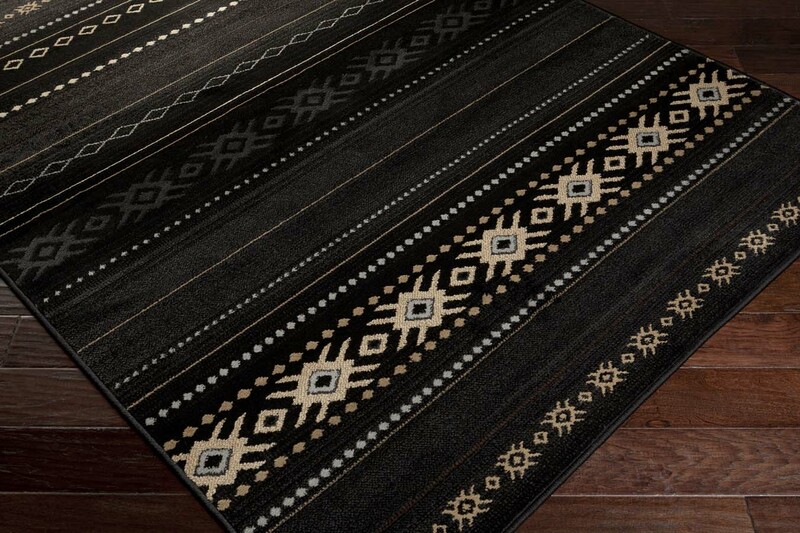 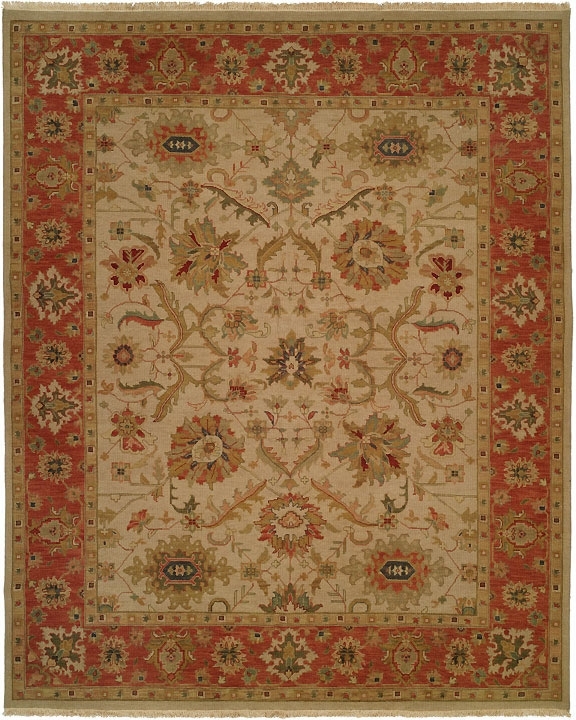 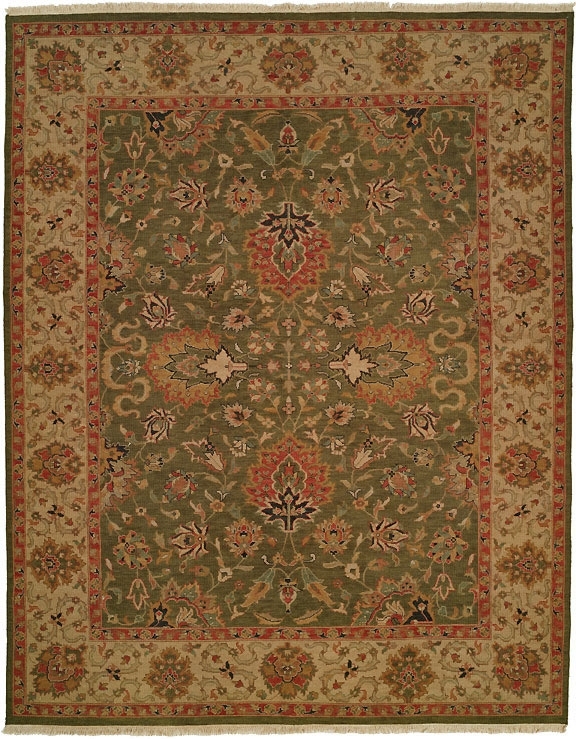 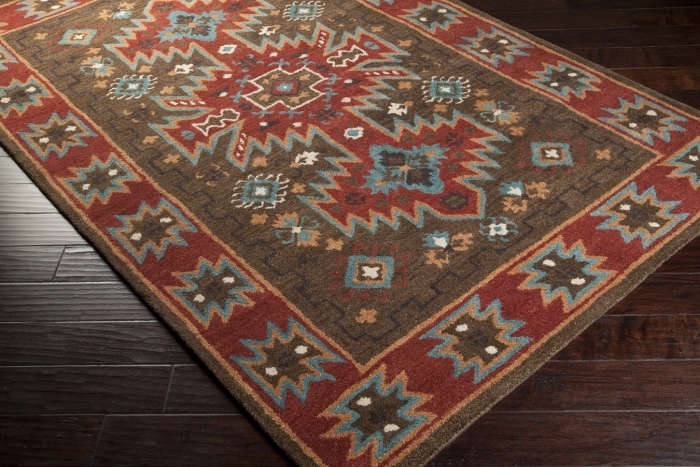 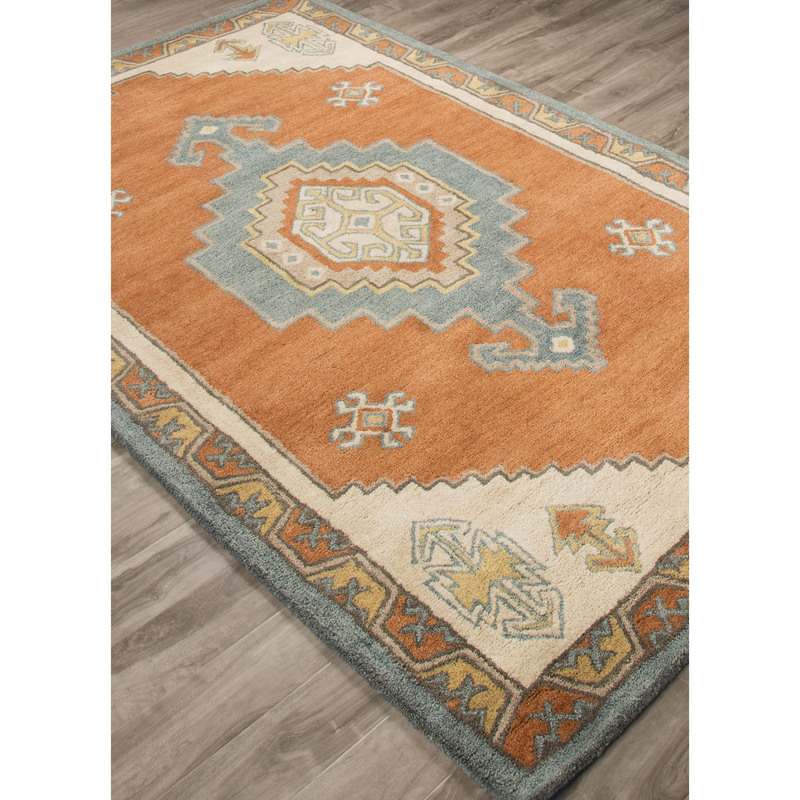 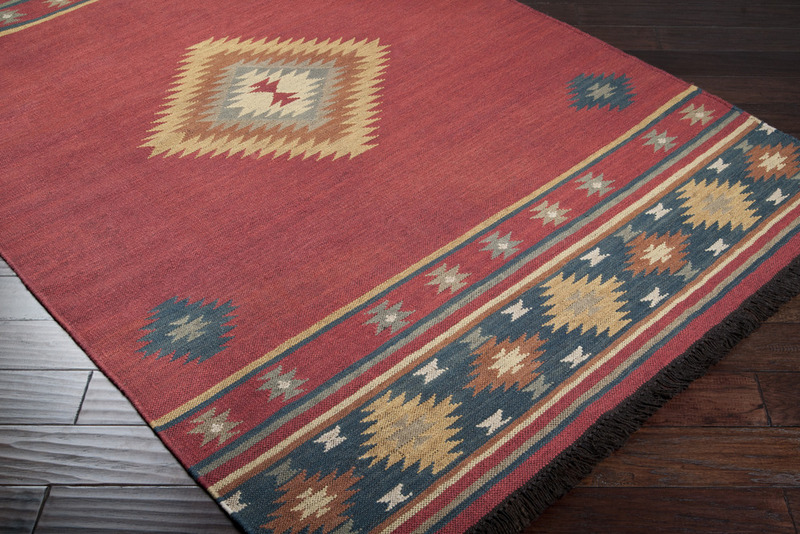 The majority of our Southwestern style area rugs have a hand knotted construction that ensures the vibrancy of the colors and designs stay vivid for years to come. 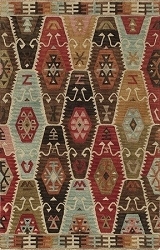 Some are machine woven. 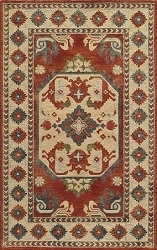 Rugs of various low, medium and high piles are available. 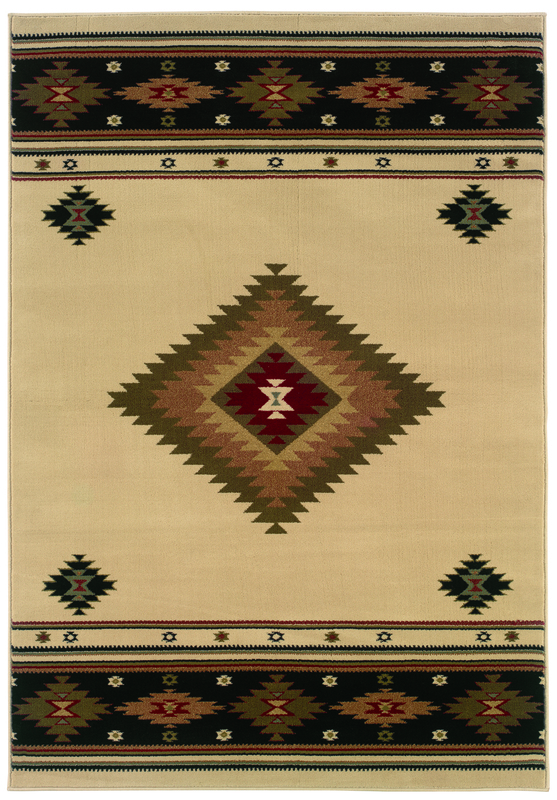 Some are even reversible, offering even more years of use. 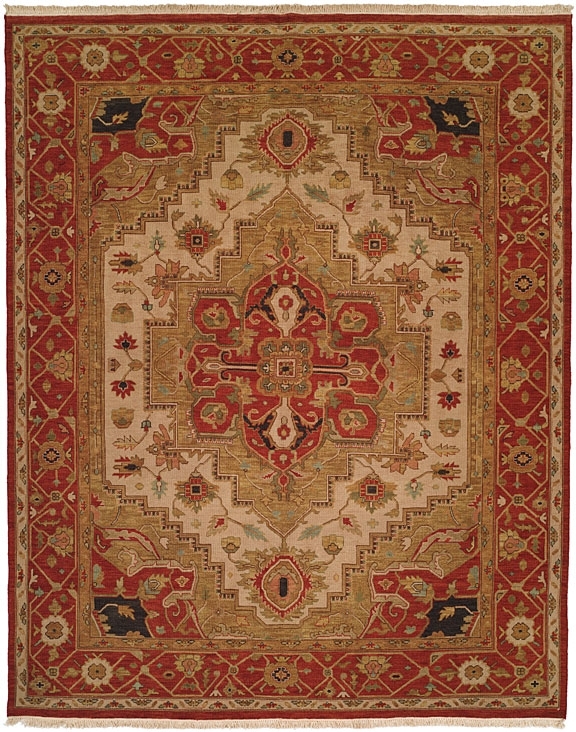 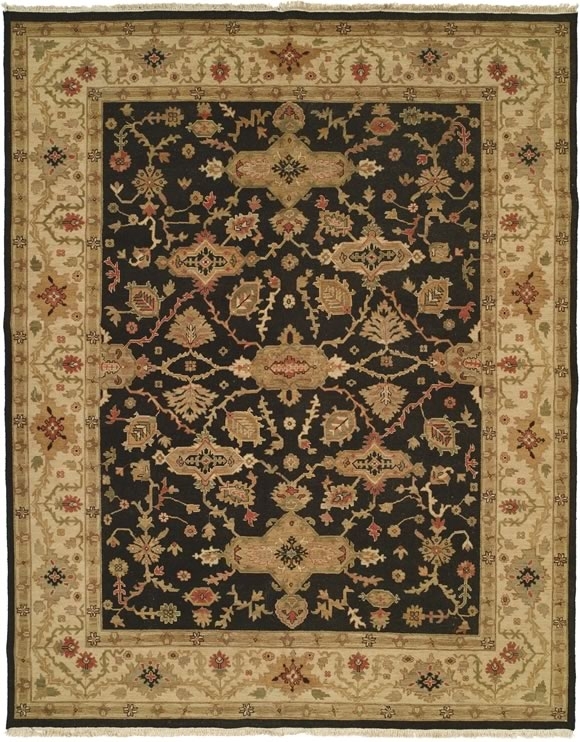 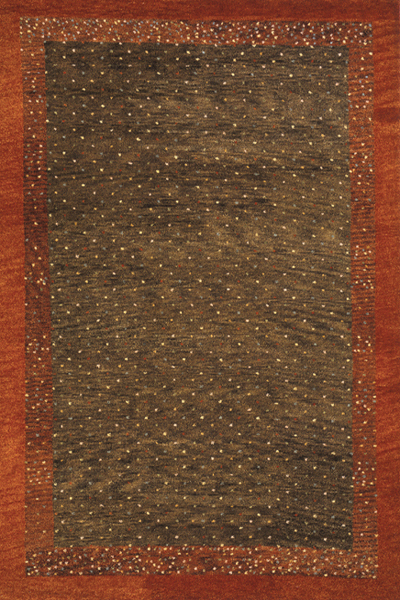 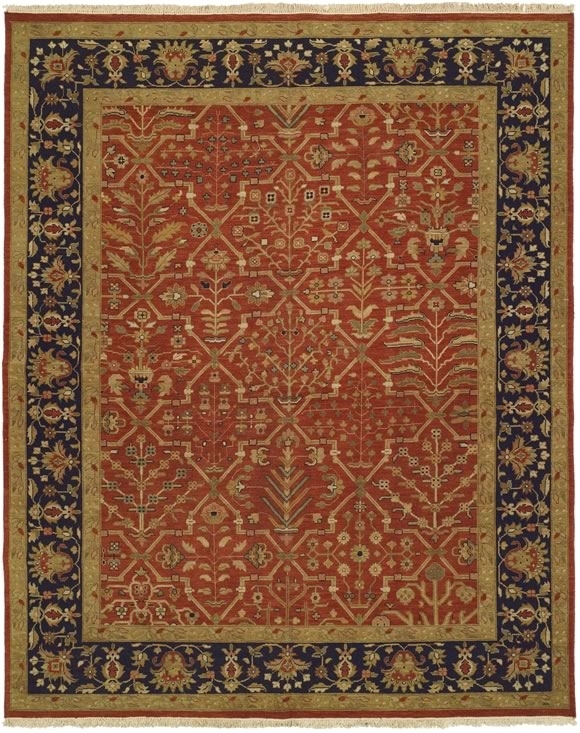 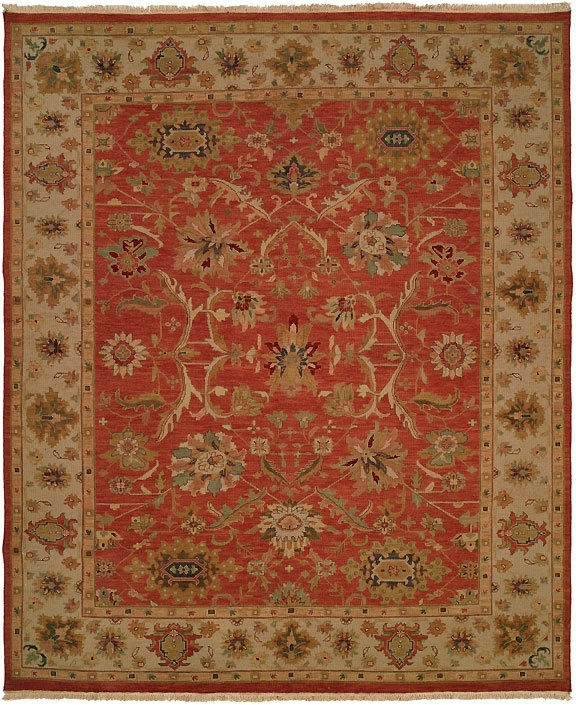 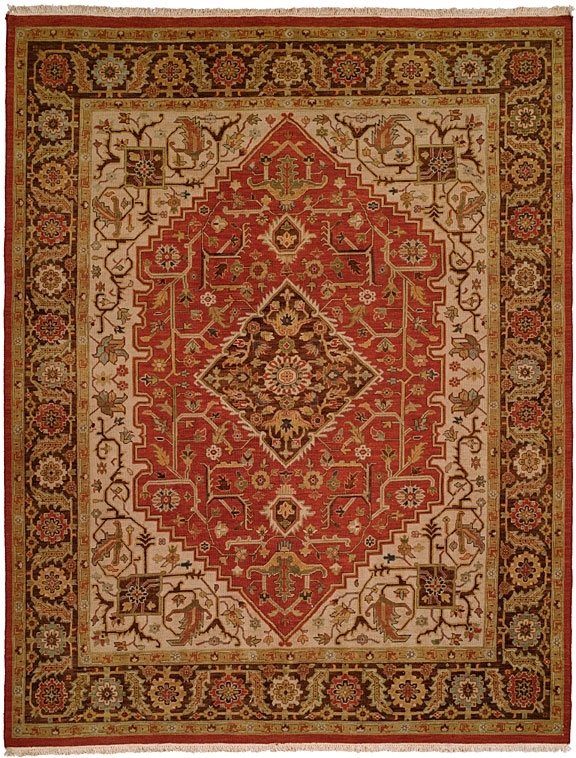 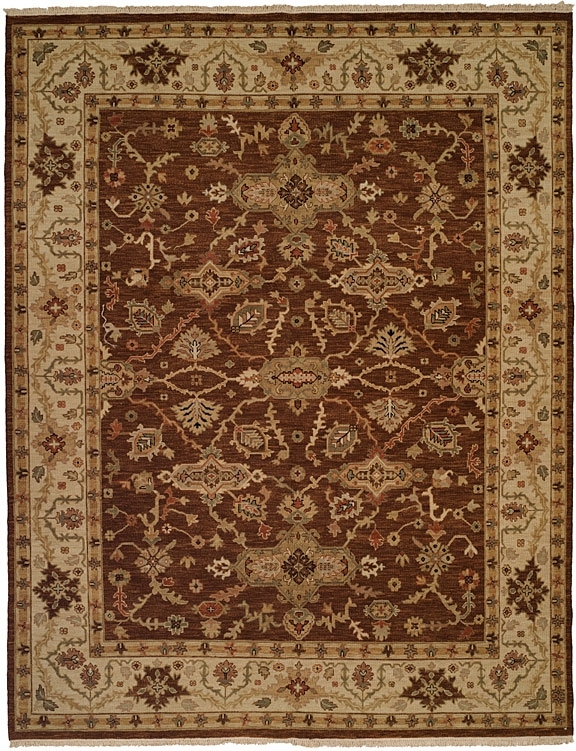 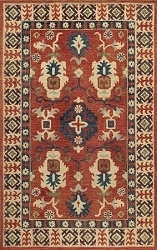 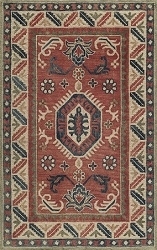 Most rugs are crafted from polypropylene or New Zealand wool. 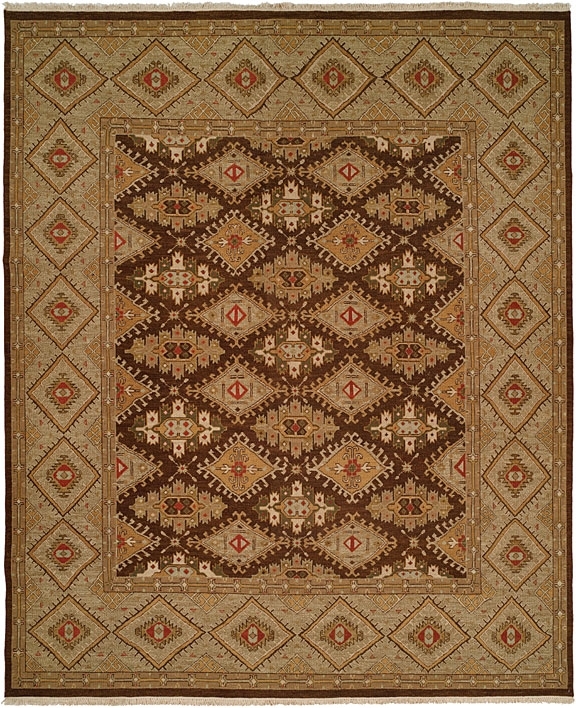 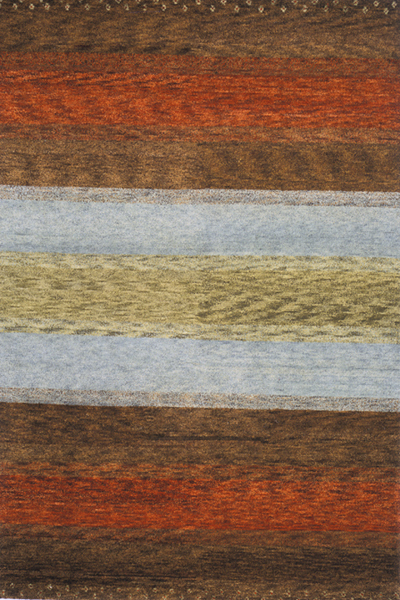 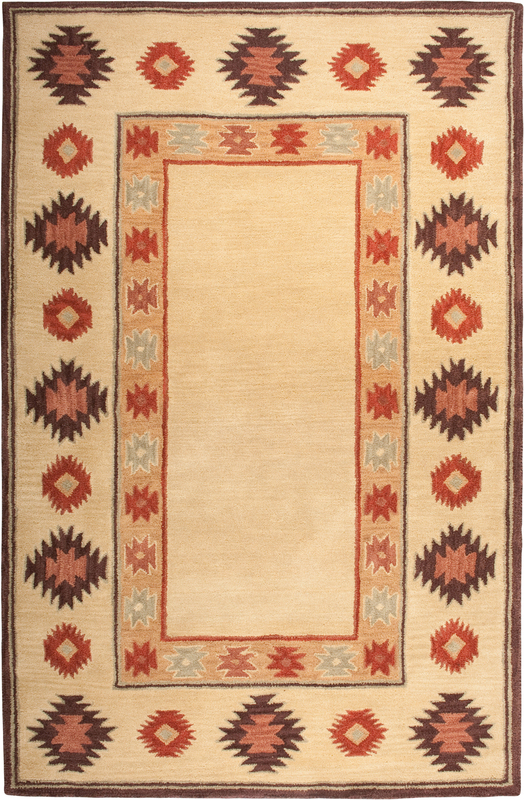 Nomadic color palettes featuring rich earth tones and warm desert tones are an essential part of our collection of southwestern rugs for sale. 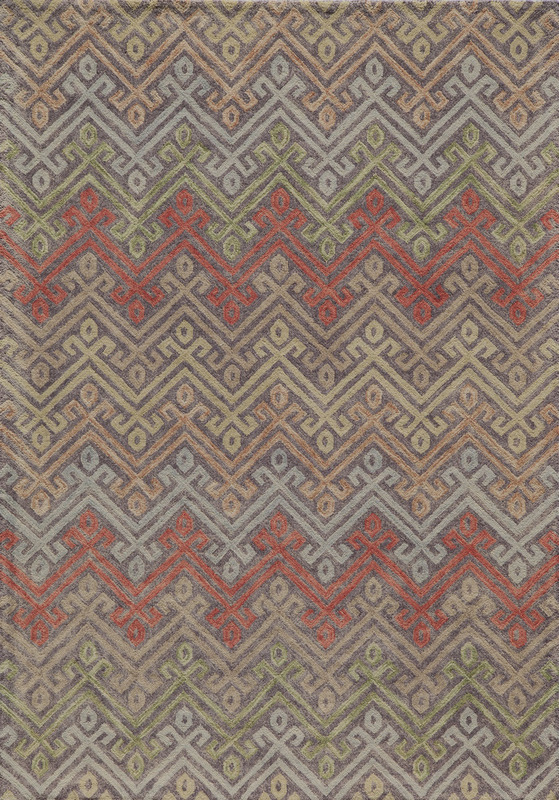 Ivory, cream, muddy red, forest green, terra cotta, oceanic blue and olive are just a few of the many rich hues these designs employ. 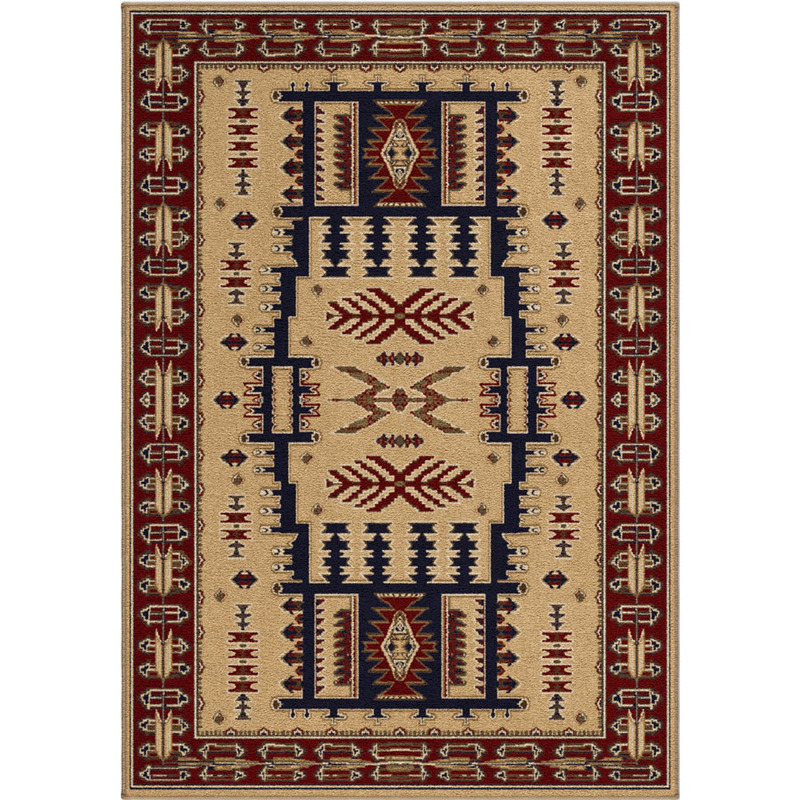 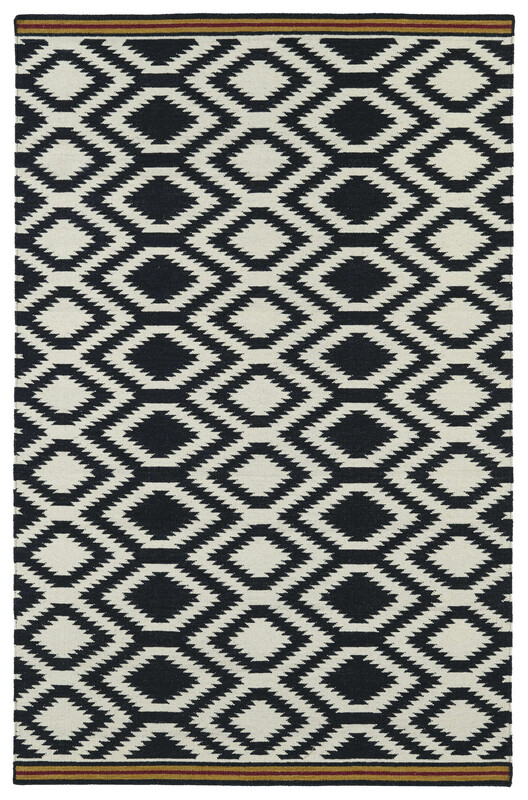 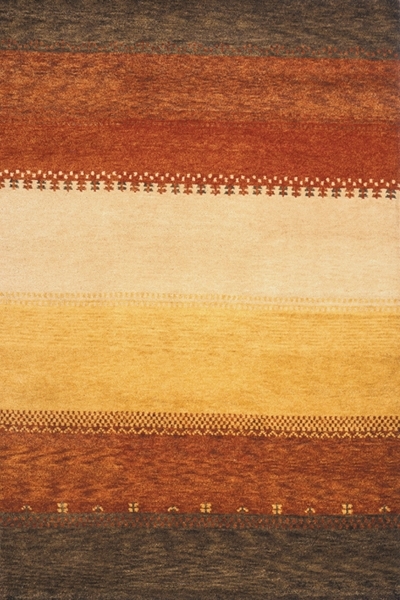 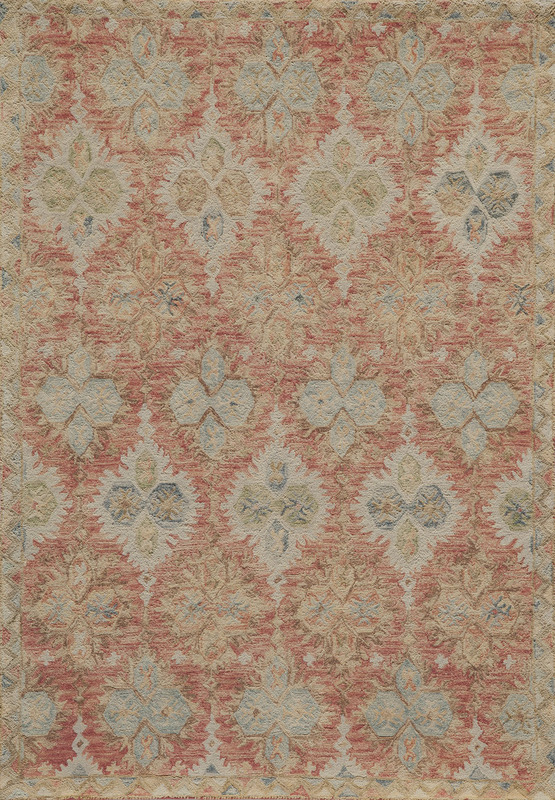 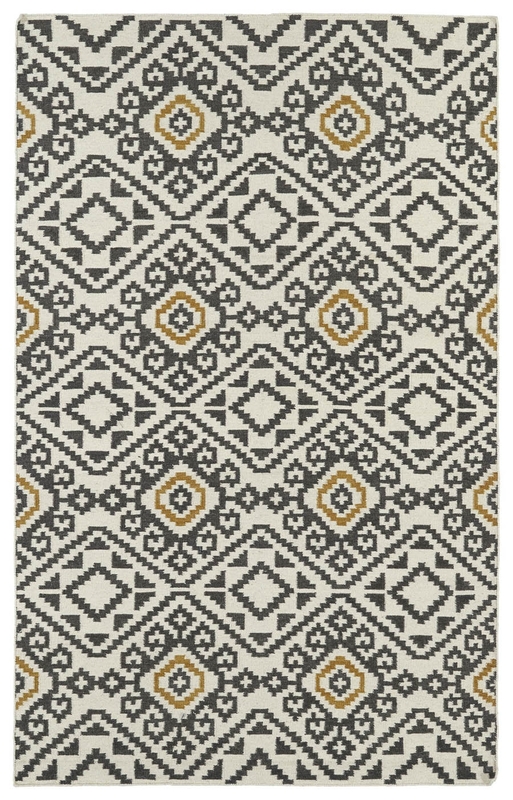 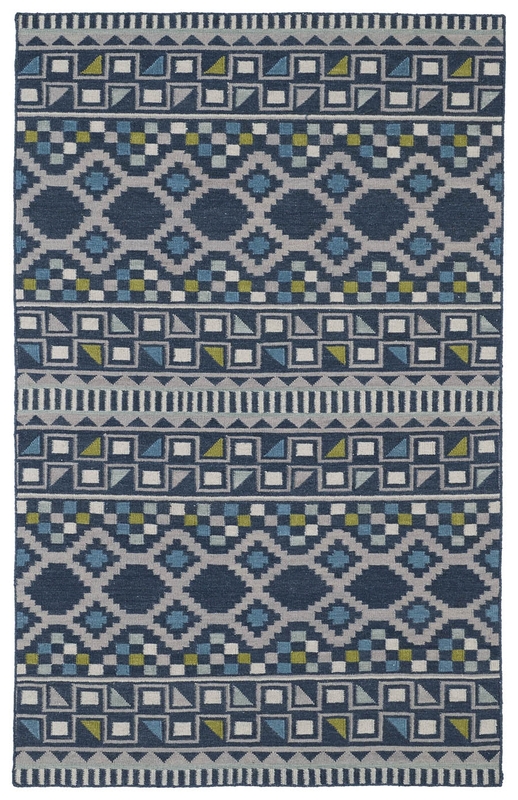 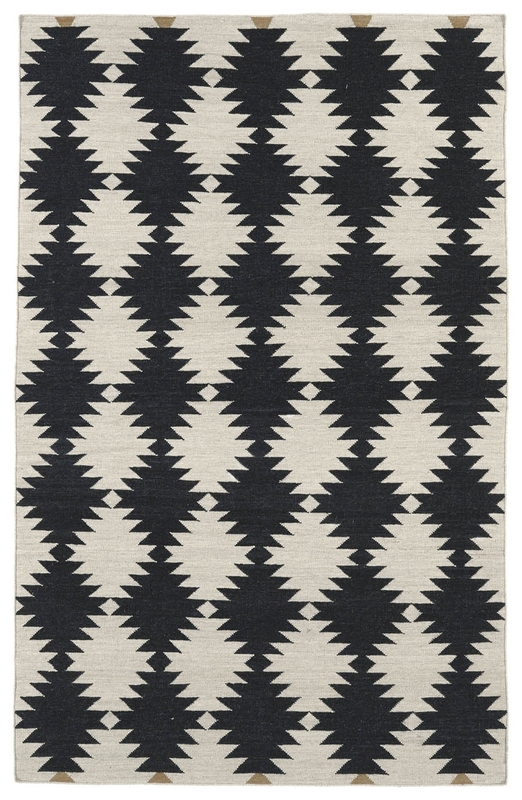 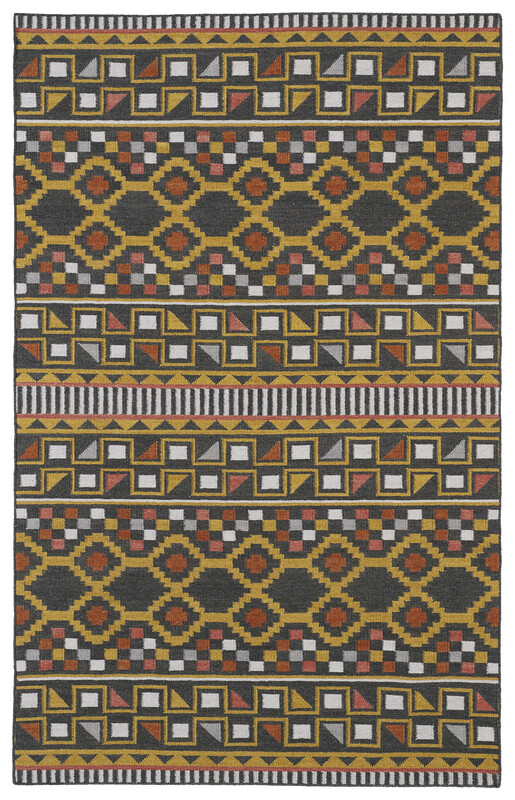 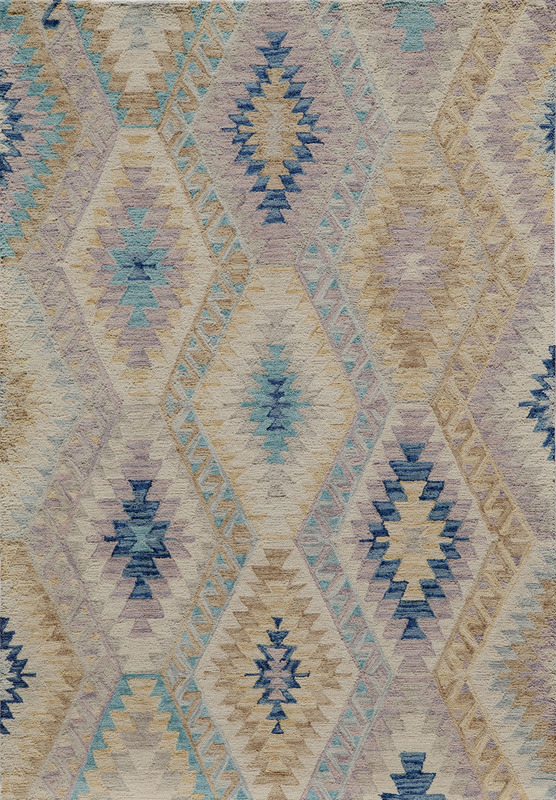 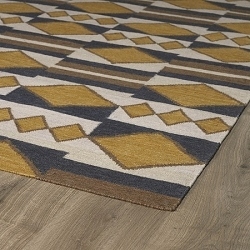 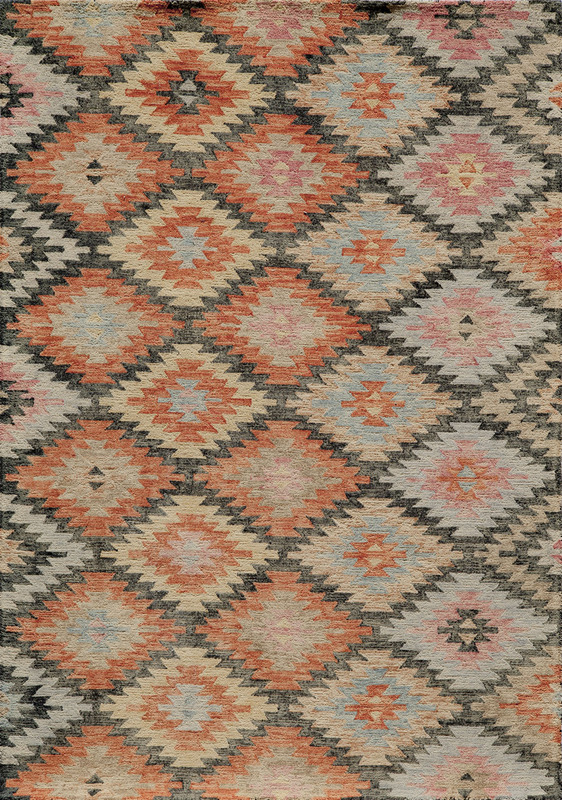 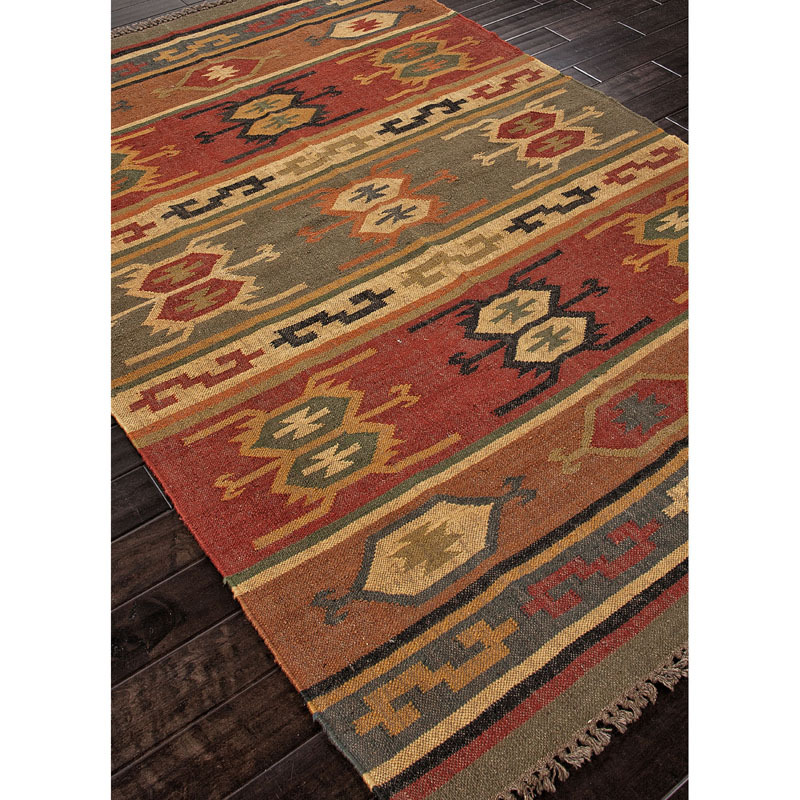 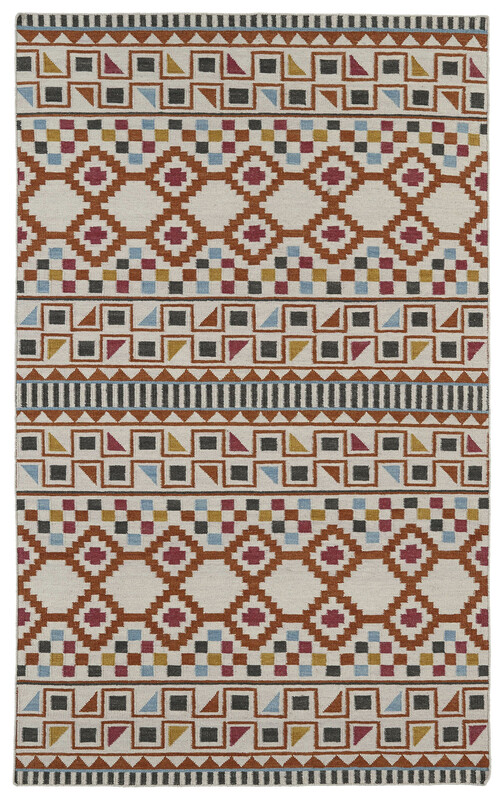 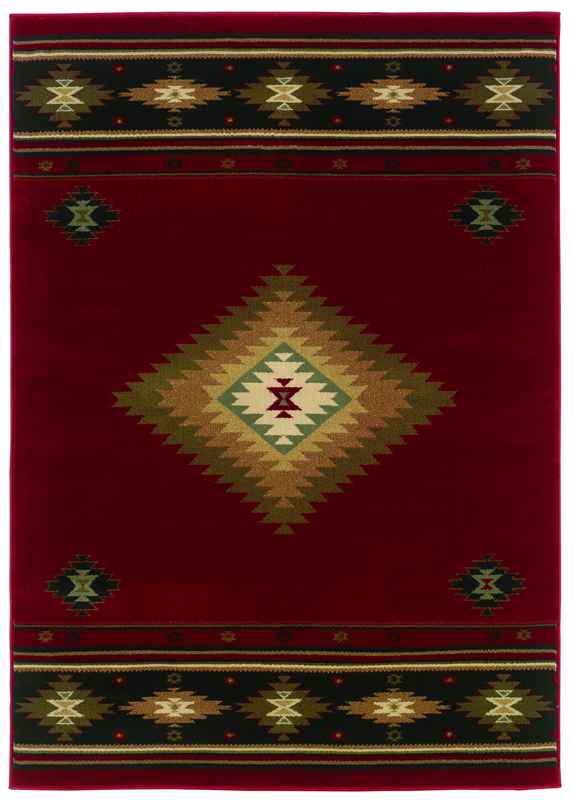 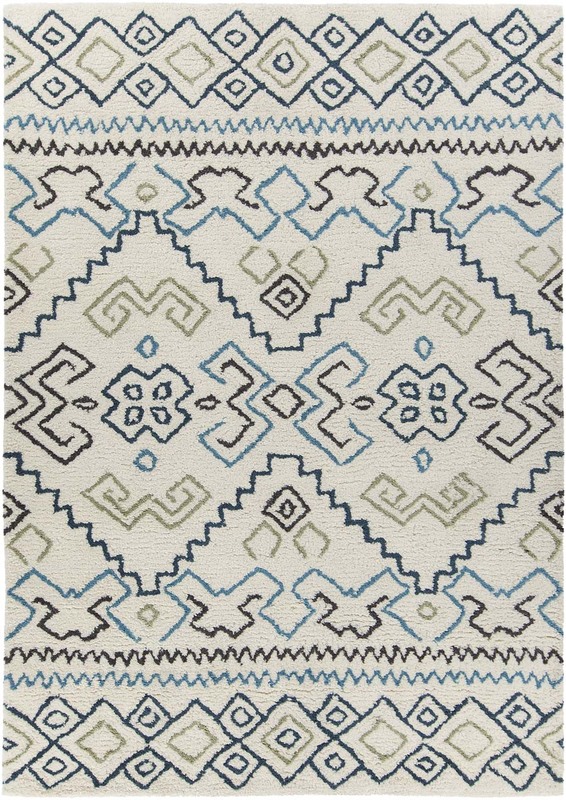 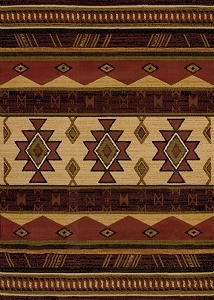 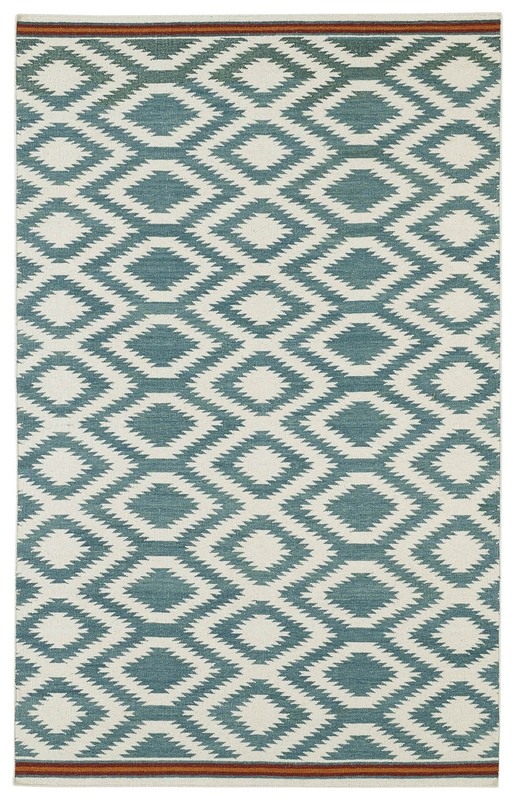 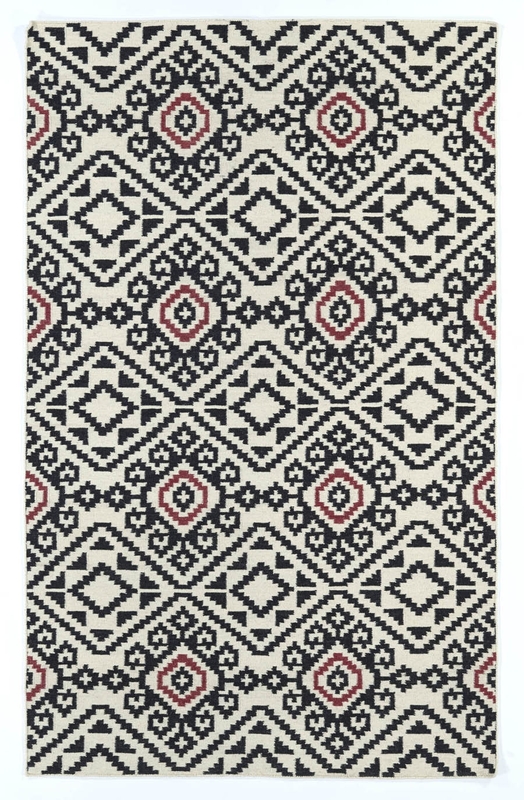 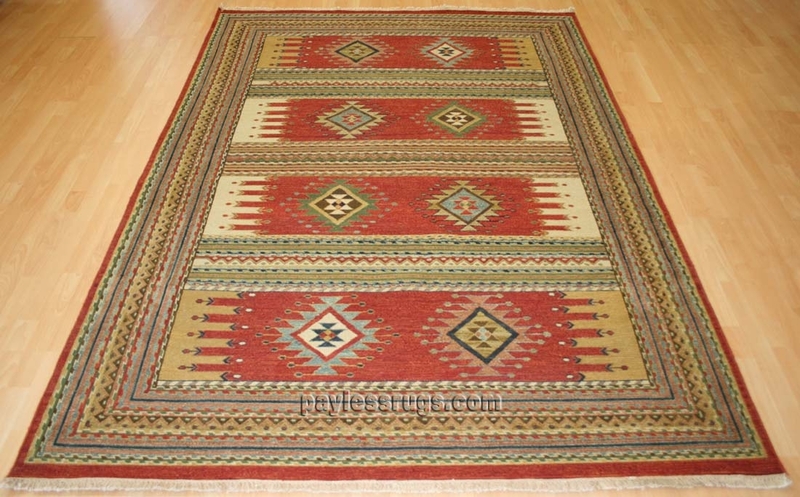 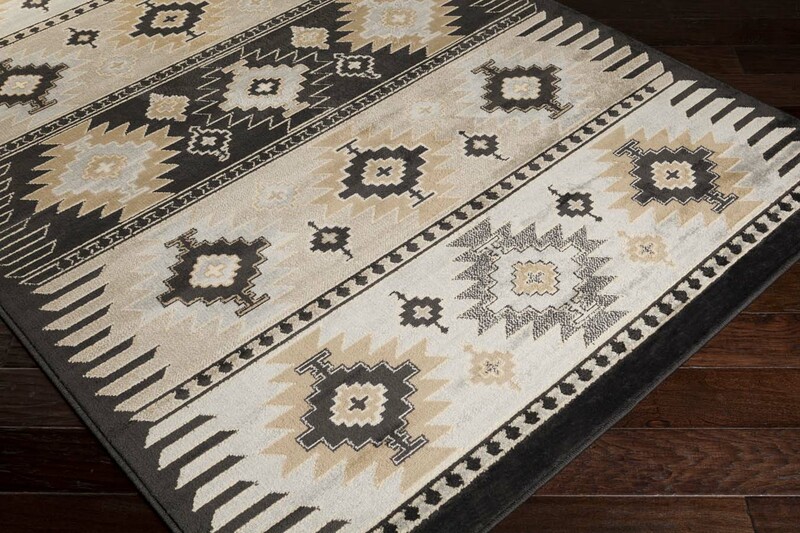 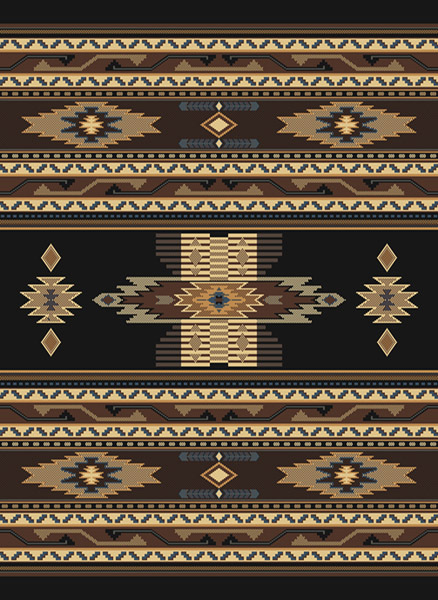 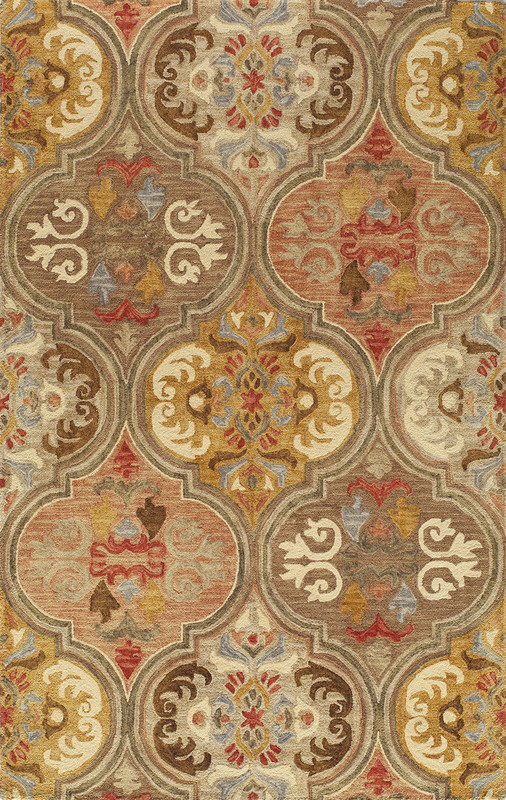 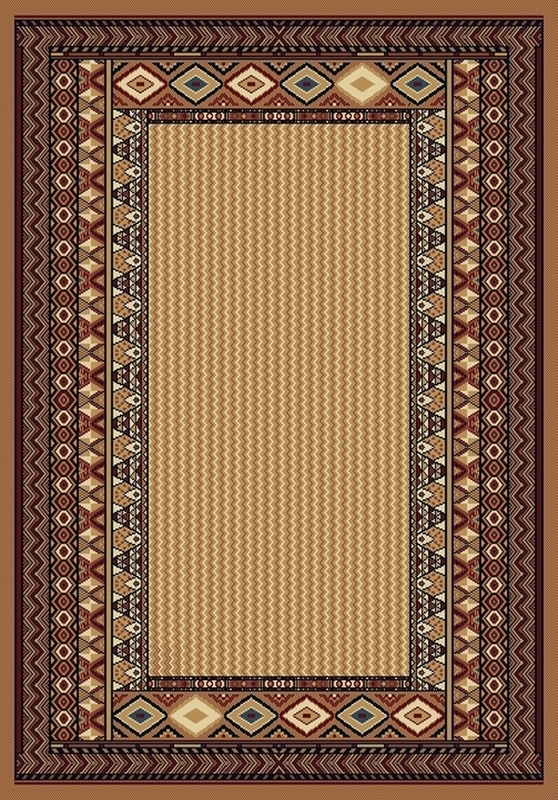 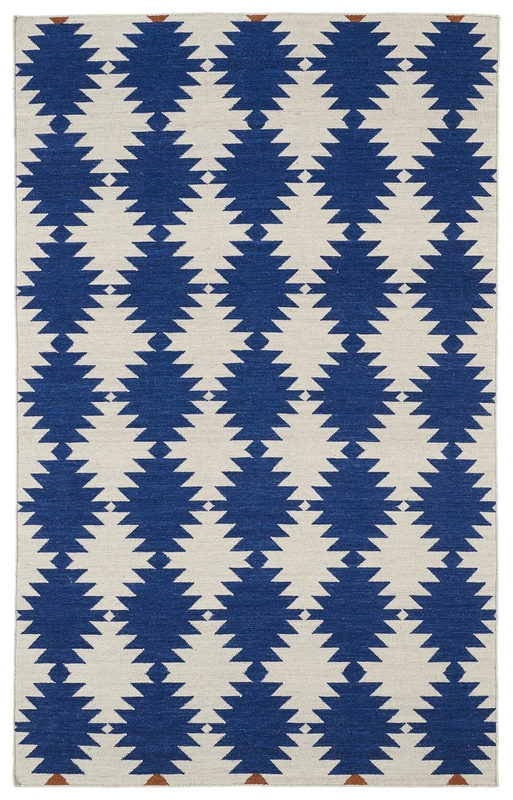 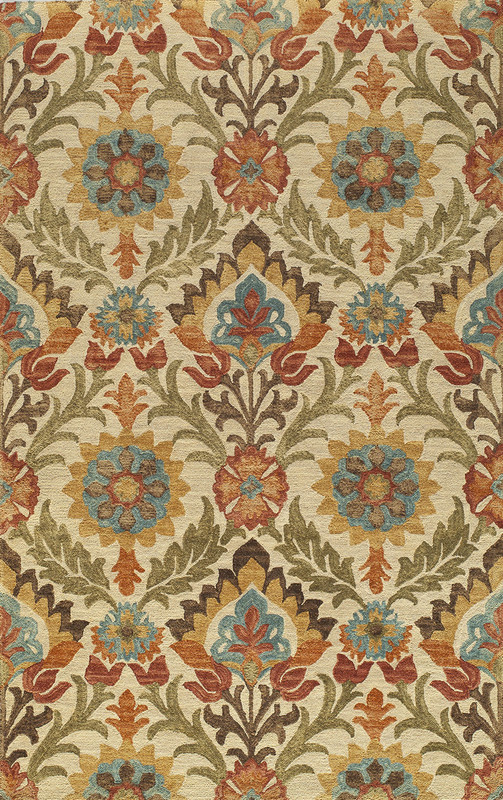 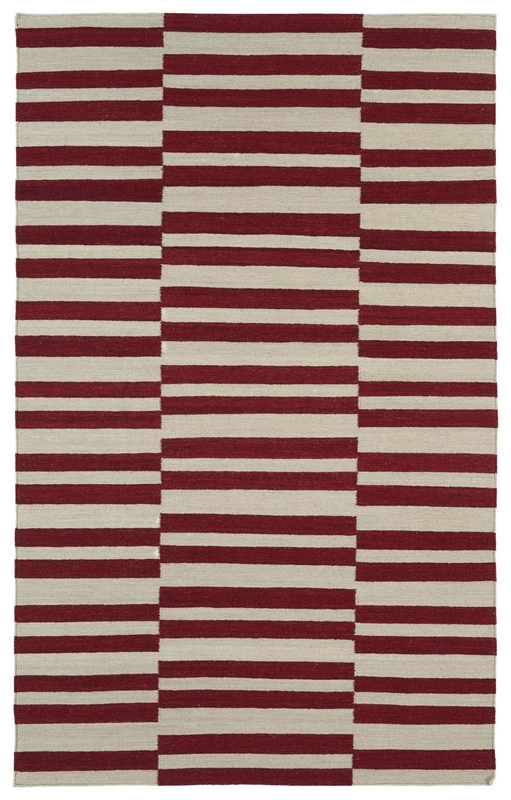 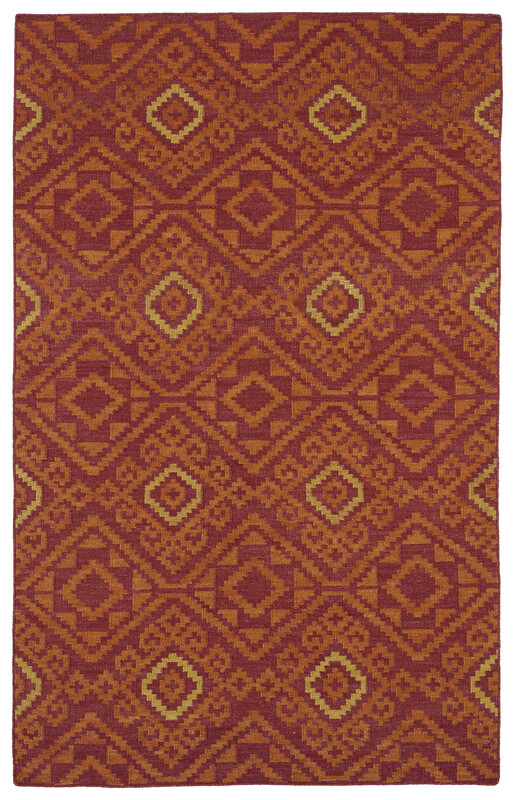 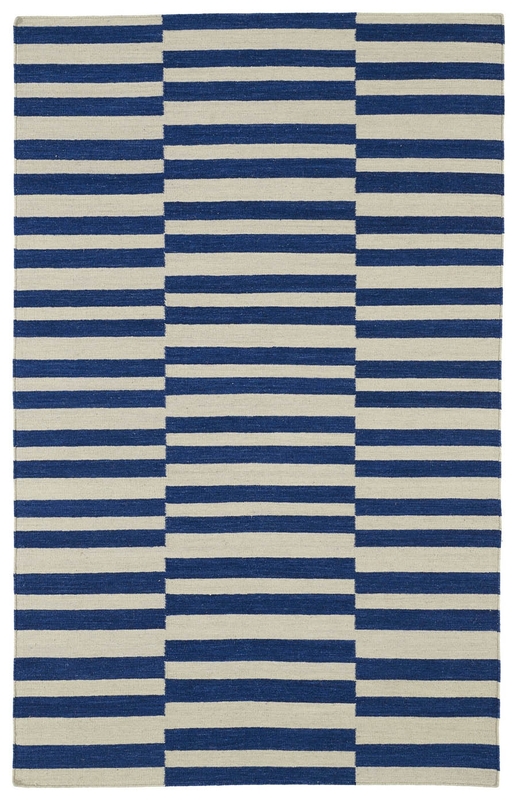 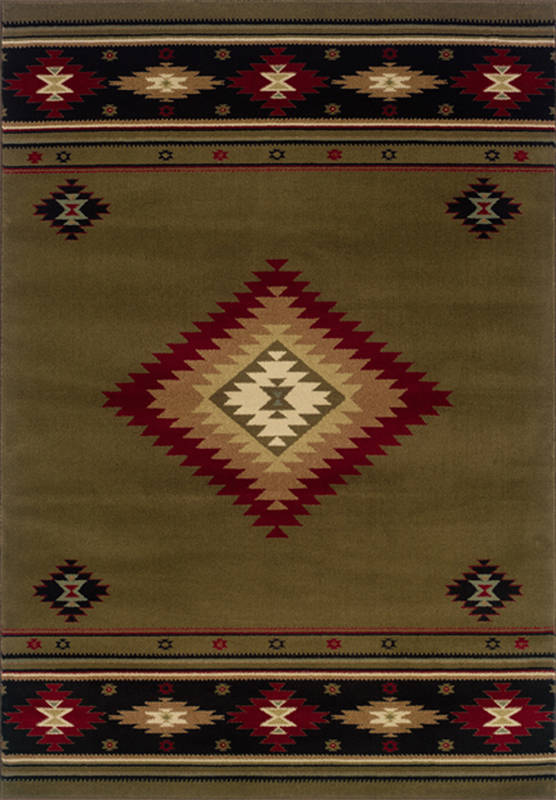 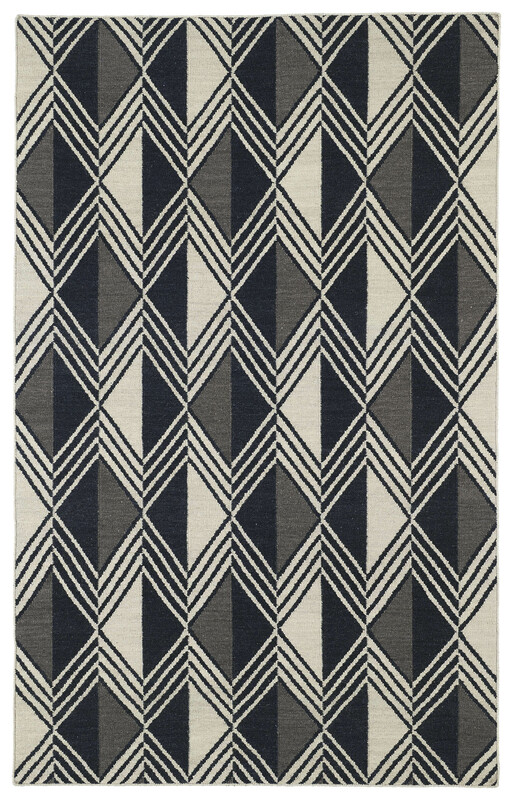 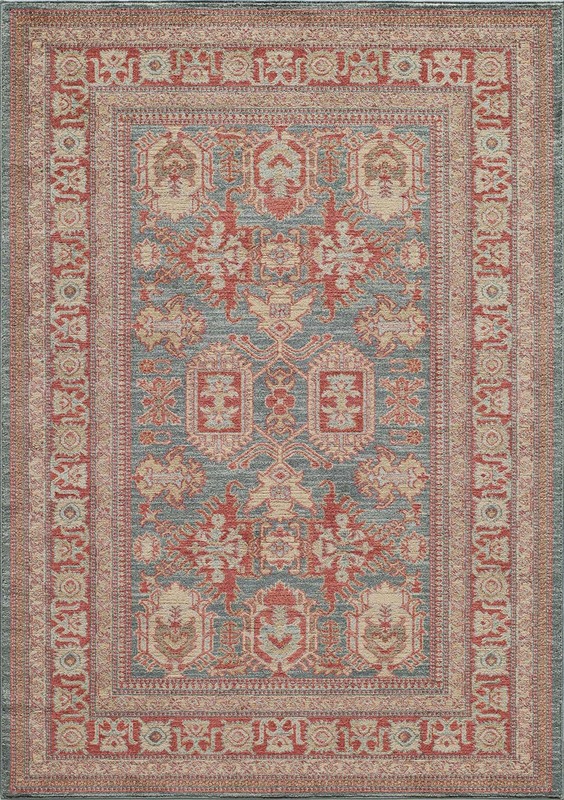 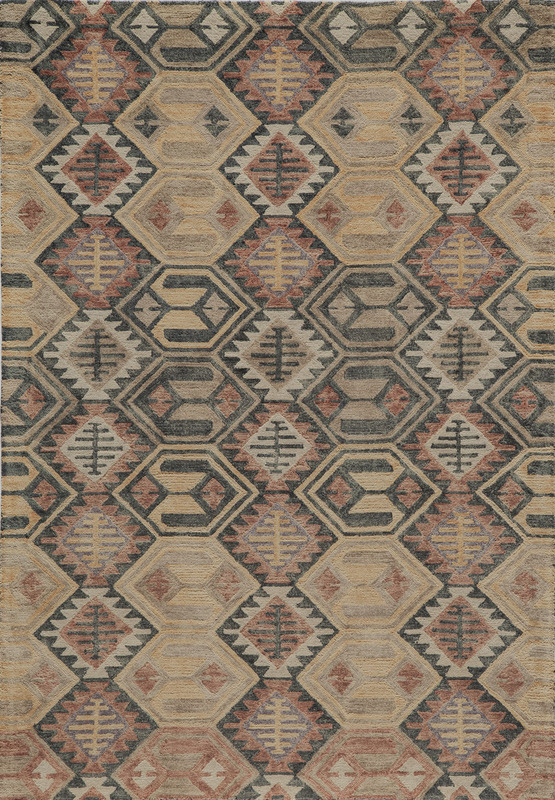 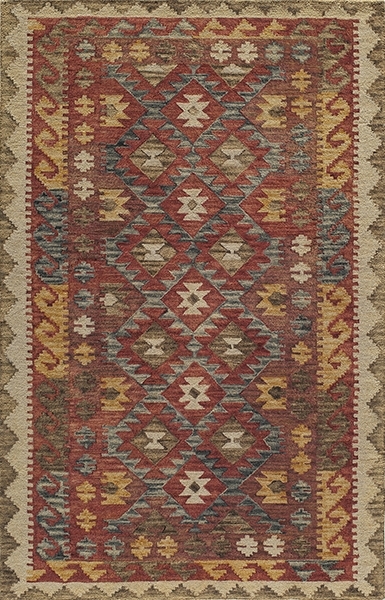 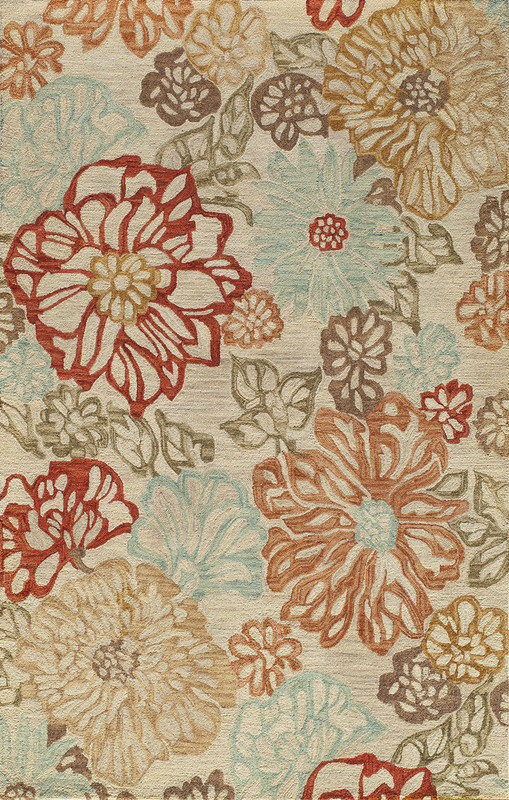 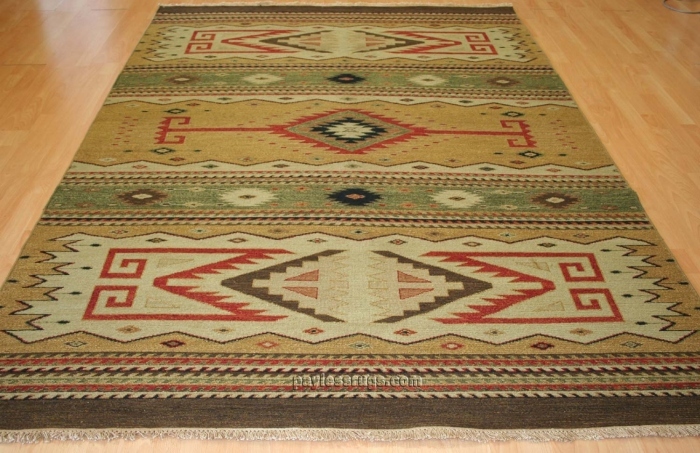 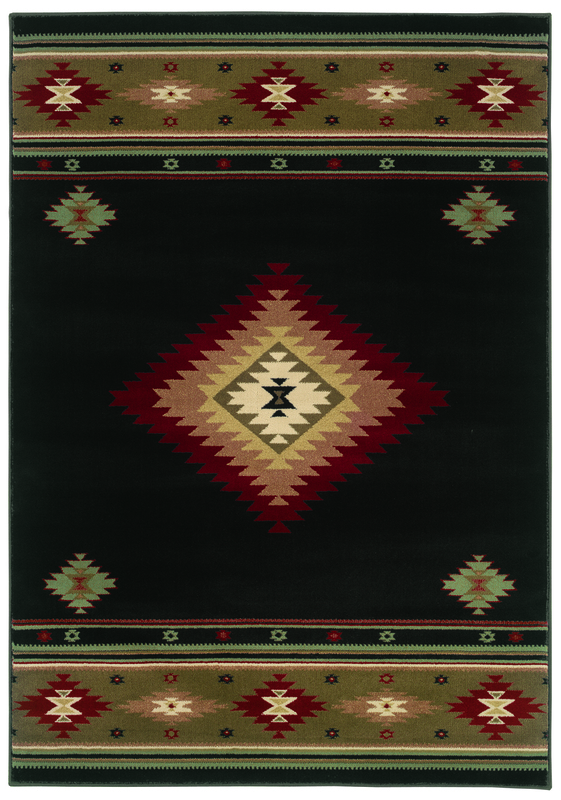 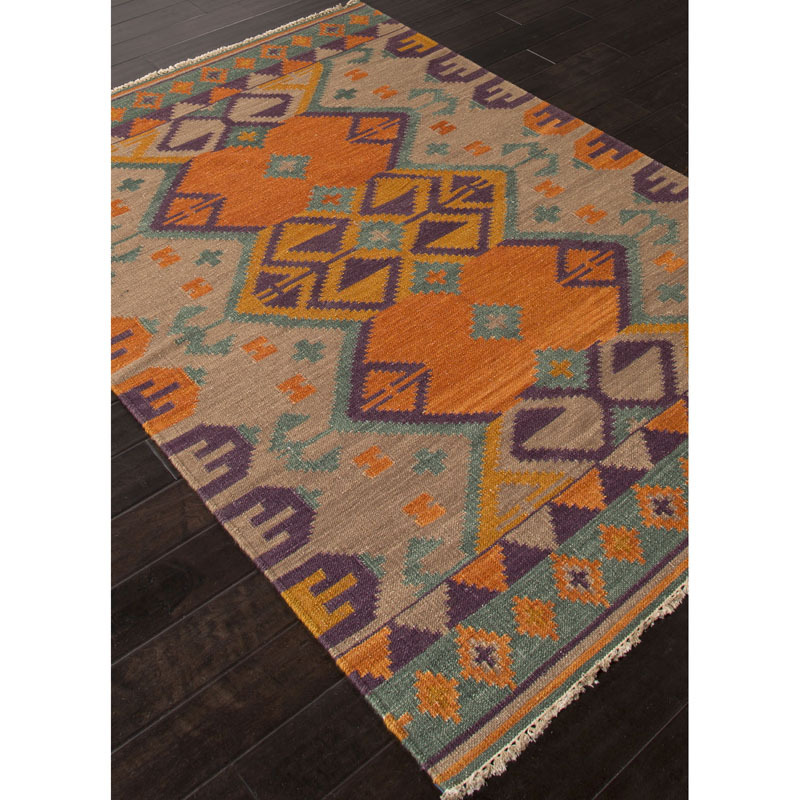 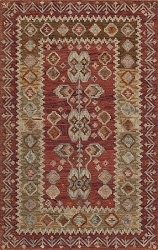 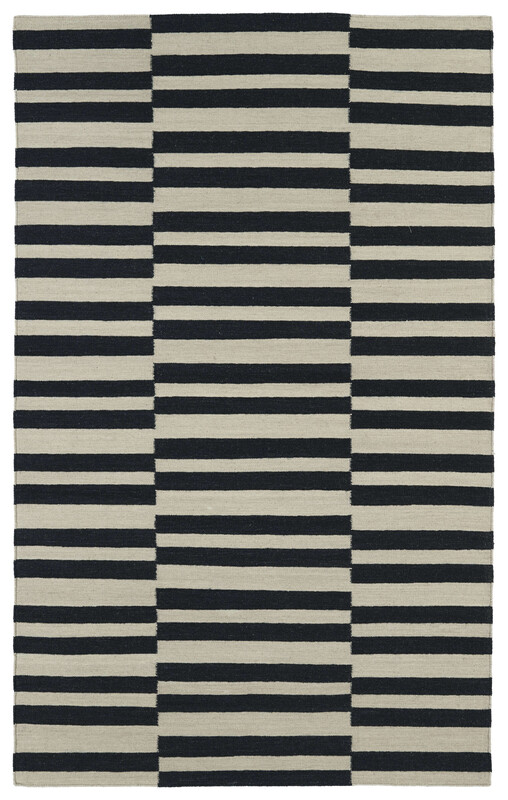 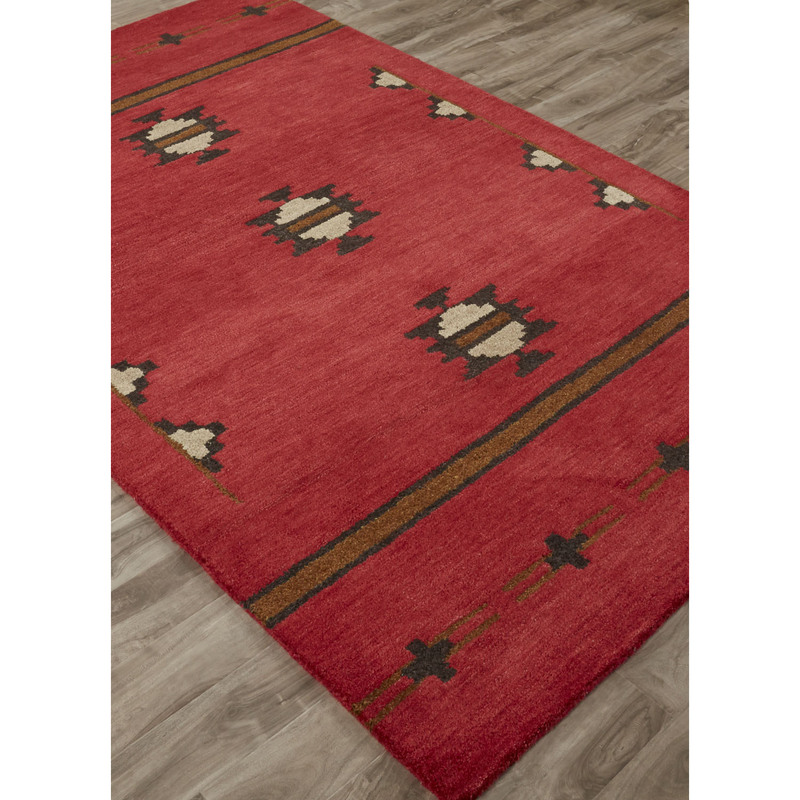 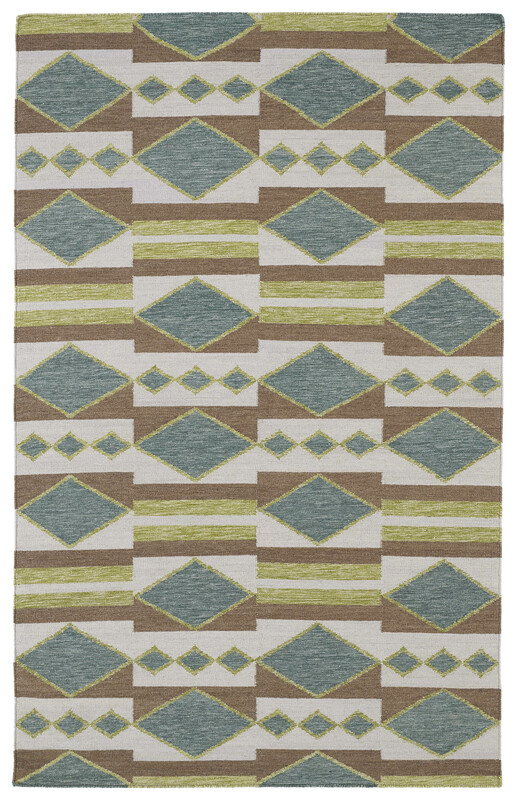 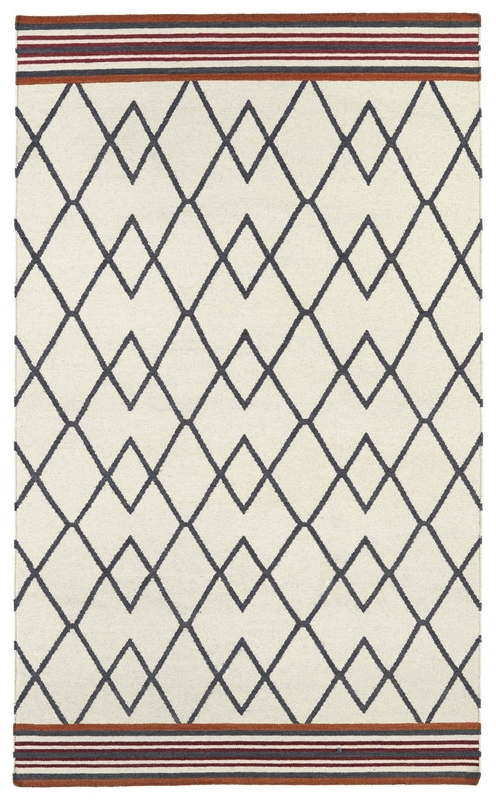 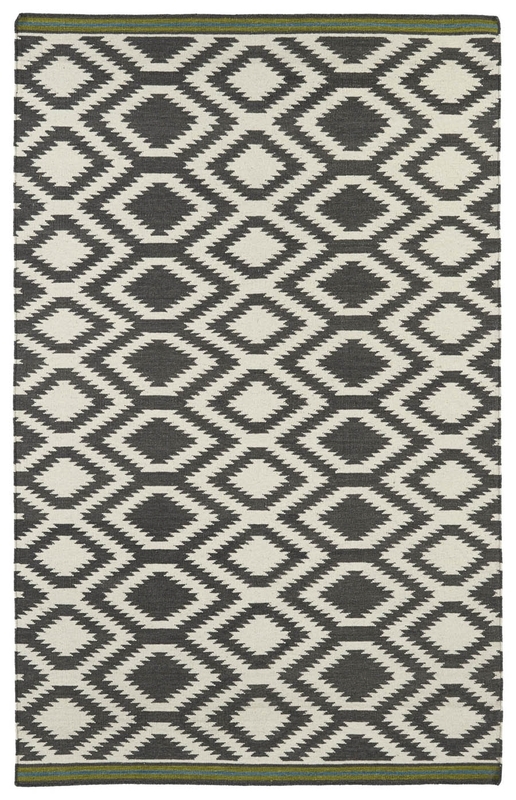 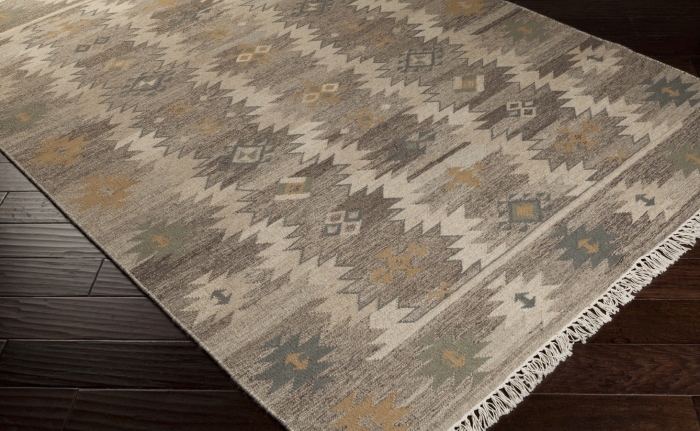 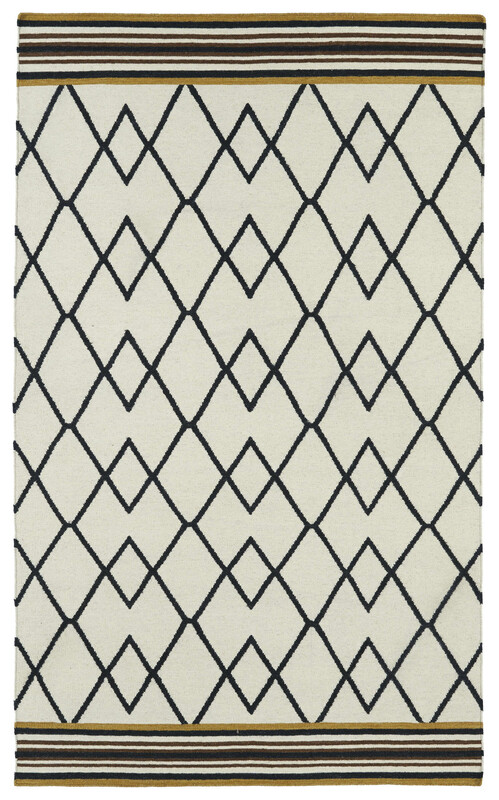 The Southwestern rugs for sale are available in modern prints and classic prints, including rugs with fringe detailing. 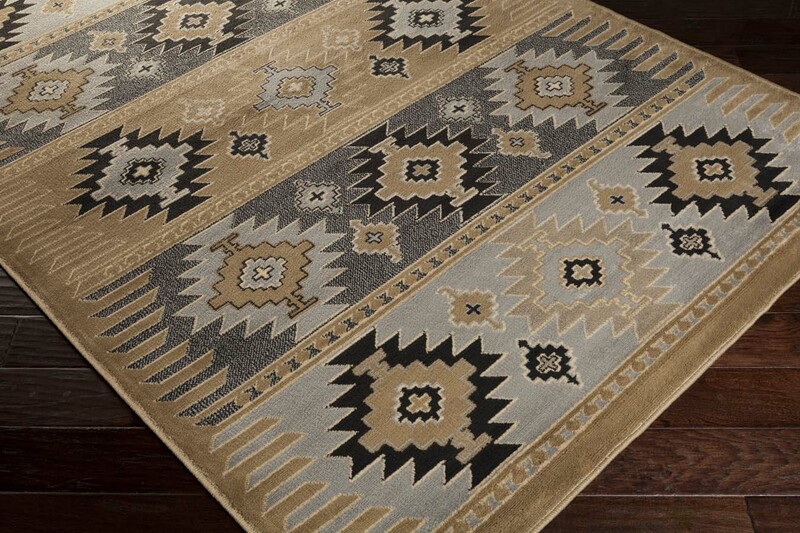 Both styles are excellent for formal and casual settings. 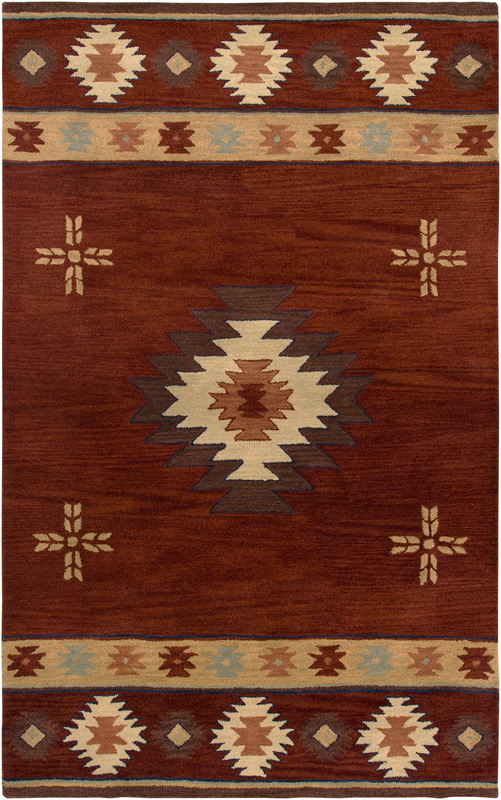 Order any design in our standard sizes and custom cuts. 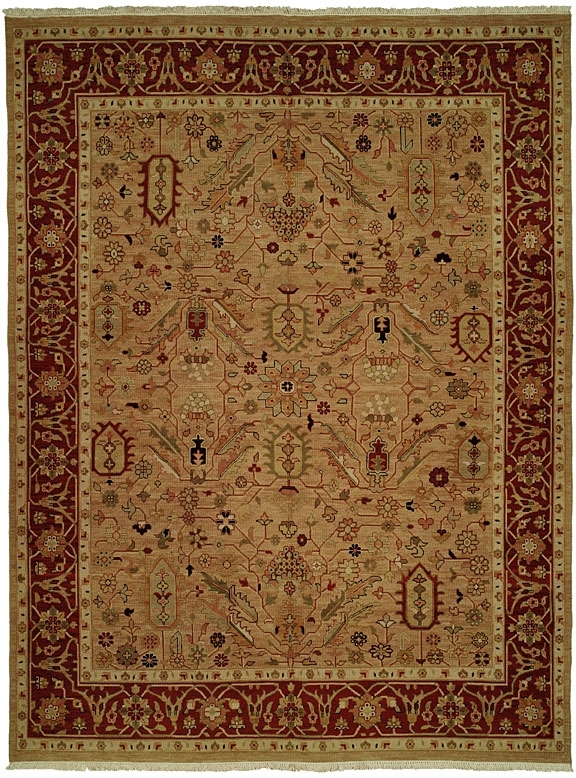 Spot cleaning and regular vacuuming is generally all that is required to maintain these rugs.